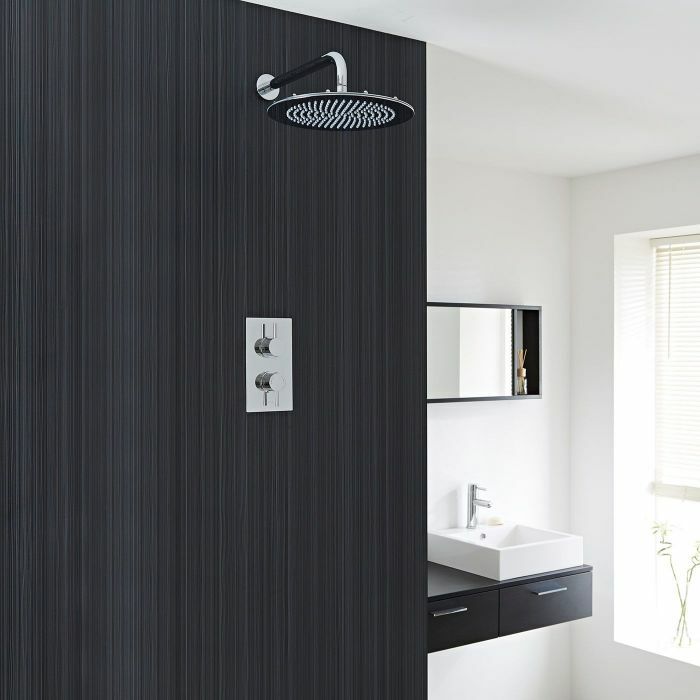 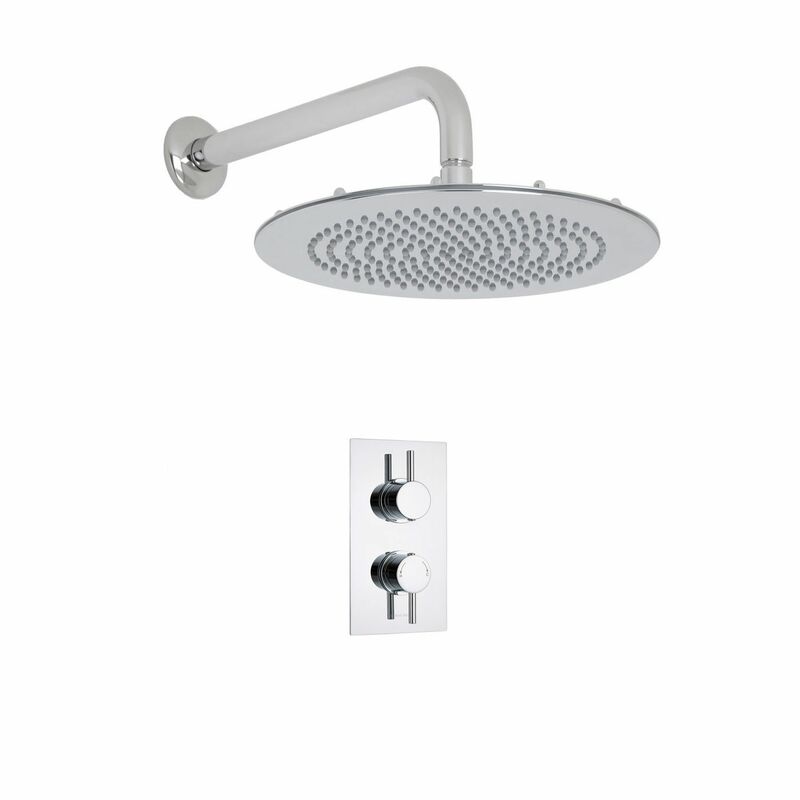 The Quest shower kit from Hudson Reed is sure to add smart, modern style to any bathroom. 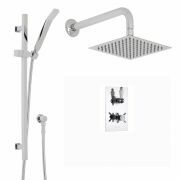 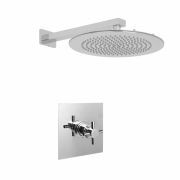 This shower kit comes complete with the twin thermostatic shower valve and the 12” round fixed shower head with wall mounted arm. 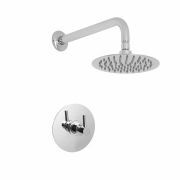 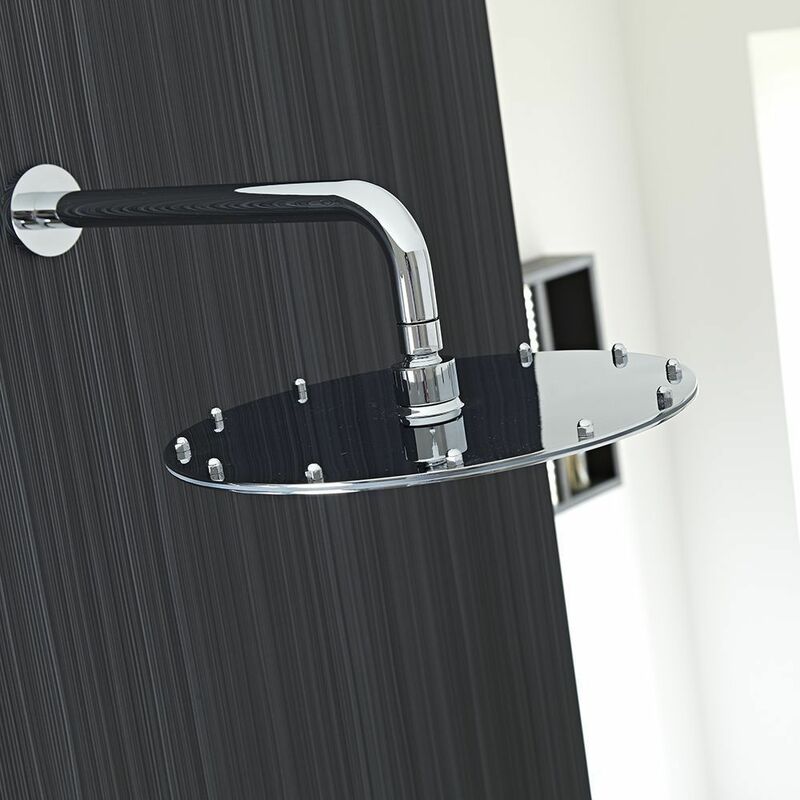 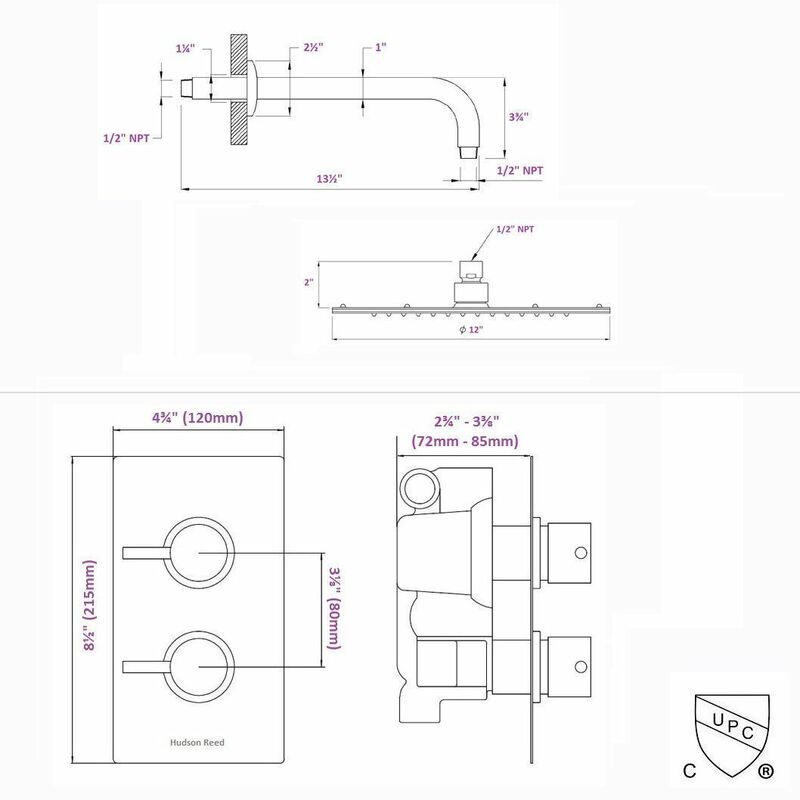 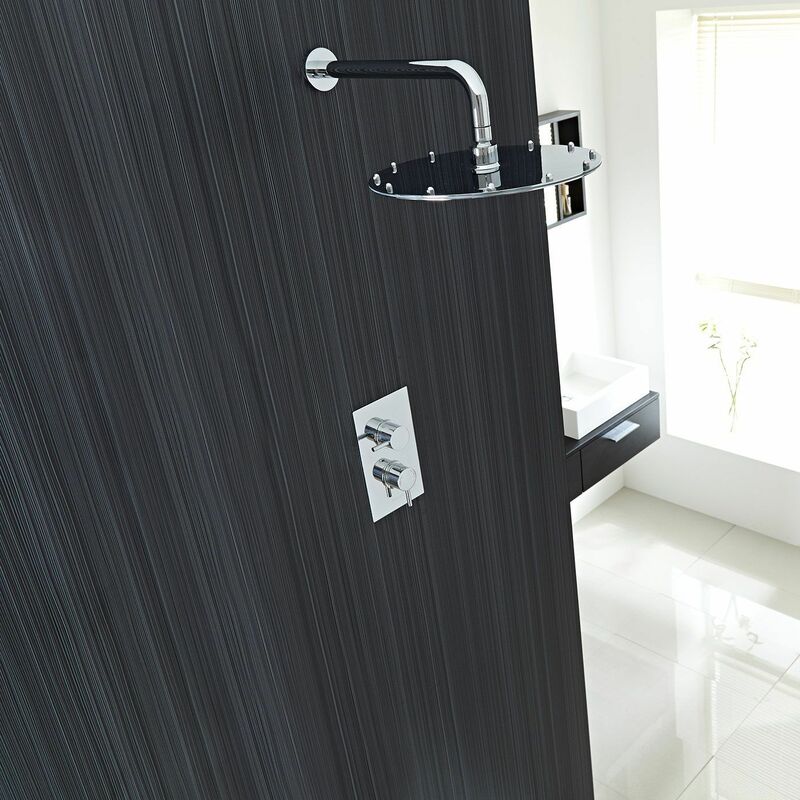 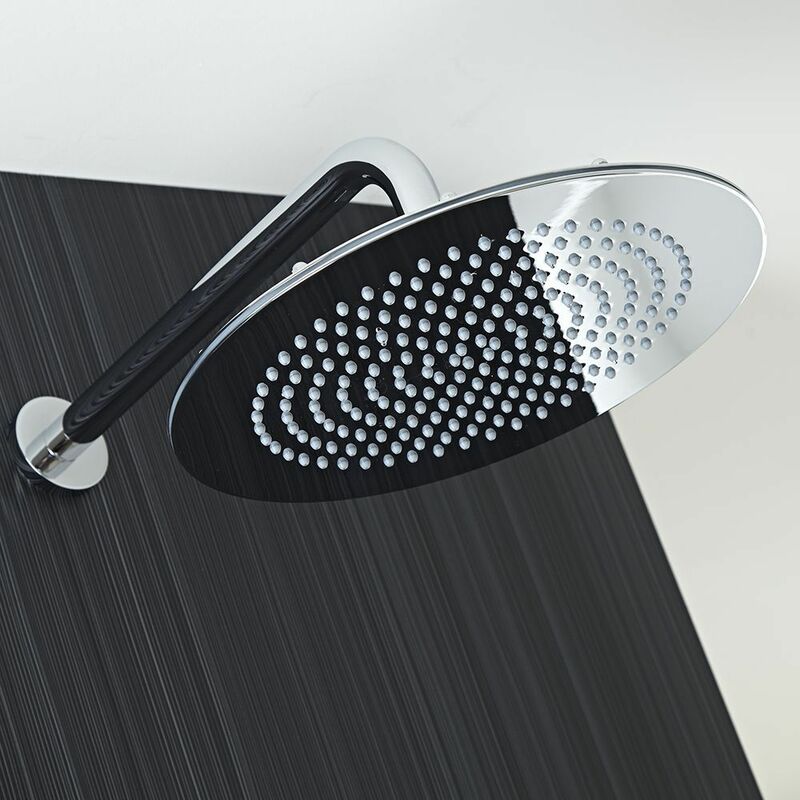 Made in Great Britain, the twin shower valve incorporates an anti-scald device for a safer showering experience. 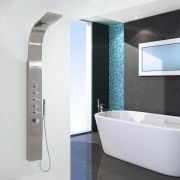 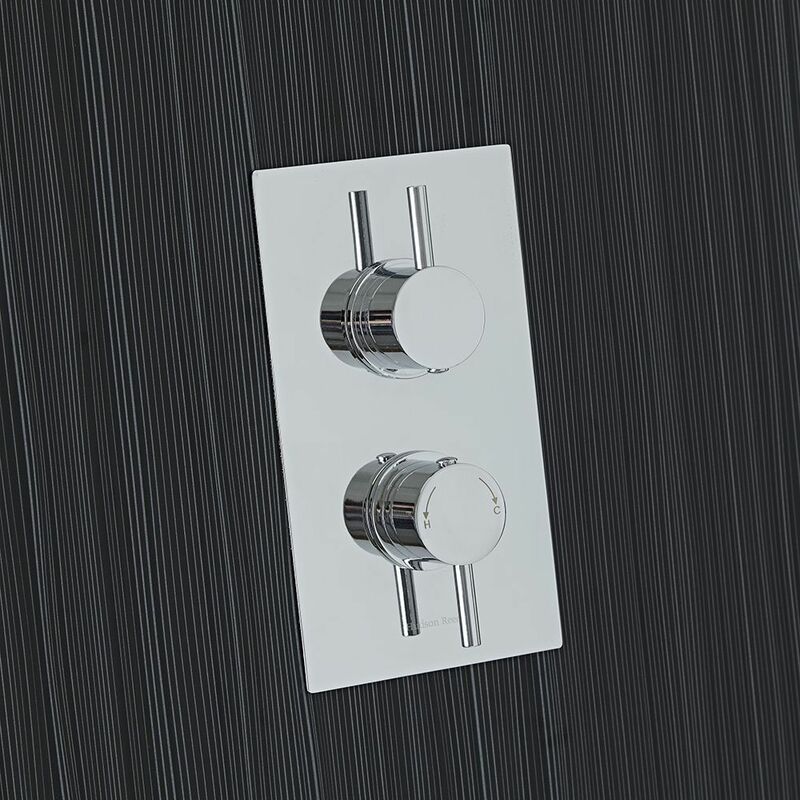 Constructed from solid brass with a durable chrome finish, the thermostatic shower valve provides smooth and precise control over the flow and temperature of the water. 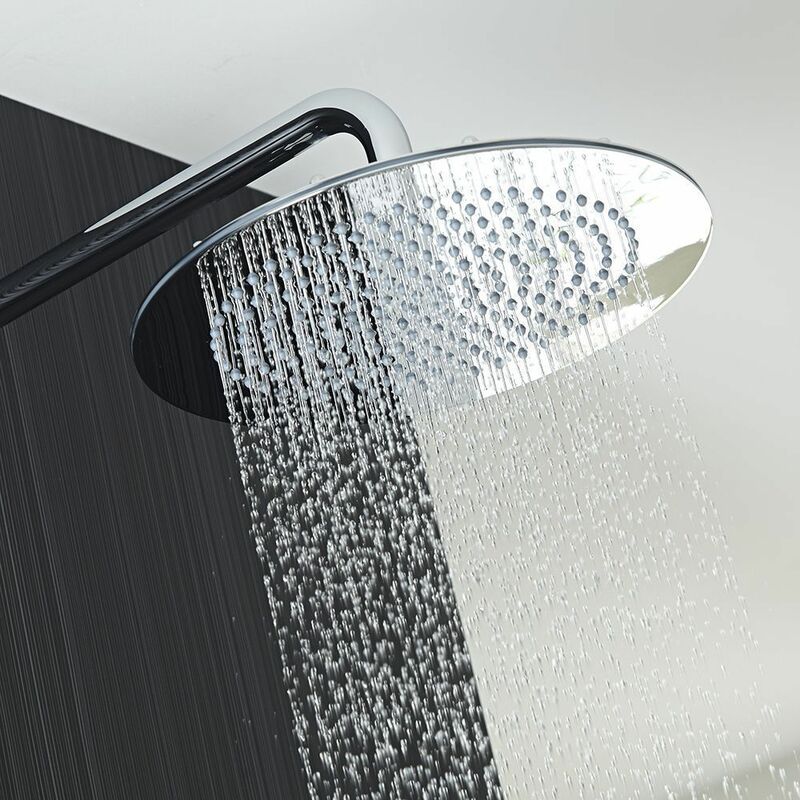 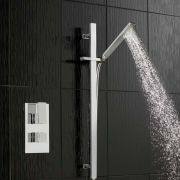 Supplied with the arm, the fixed head delivers a refreshing shower to leave you feeling awake and ready to start your day.